1. This Decree provides for the management of underground construction space in urban centers in Vietnam. 2. 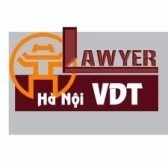 Domestic and foreign organizations and individuals engaged in activities related to underground construction space in urban centers in Vietnam shall abide by the provisions of this Decree and other relevant provisions of law. 1. Urban underground construction space means the subterranean space used for the construction of urban underground works. 3. Urban underground construction space planning means the organization of subterranean construction space for the construction of underground works. 4. Urban underground works means those built underground in urban centers, including underground public facilities, underground traffic works, underground key technical works and underground sections of works built on the ground, underground wires, cables and technical pipes and technical trenches and tunnels. 5. Underground public facilities means works built underground to serve public activities. 6. Underground traffic works means underground railway works, underground railway terminals, road tunnels, pedestrians' tunnels and connected support facilities (including road sections connecting underground portions with the ground surface). 7. Underground technical key works means underground technical infrastructure facilities including water supply stations, wastewater treatment stations, transformer stations and gas stations, which are built underground. 8. Underground wire, cable and technical pipeline works means underground water or energy supply pipelines, water drainage works: power transmission lines and communications lines which are built underground. 9. Underground sections of works built on the ground means ground floors (if any) and underground sections of works. 10. Technical tunnels mean underground works running in lines which are of sizes big enough for humans to install, repair and maintain of underground equipment and pipelines. 11. Technical trenches means underground works running in lines which are of small sizes for installation of wires, cables and technical pipelines. 12. Technical culverts, tanks means the systems of pipes and cable tanks for the installation of underground communications, telecommuni­cations wires and cables signal transmission cables, television, power supply and lighting cables. 1. The Government shall perform the unified management on the basis of assigning provincial-level People's Committees to manage urban underground construction space in areas under their respective management. 2. Urban underground construction space must be planned, built, managed and used. On-ground urban development and planning must be closely associated with the safe and efficient use of underground space. 3. The use of underground space for the construction of underground works must ensure thrifty land use, environmental protection and security as well as defense requirements. 4. Investors in new urban centers, new residential quarters and newly built, renovated or expanded thoroughfares shall invest in the construction of technical culverts and tanks or technical trenches and tunnels for the installation of technical wires and pipes under approved planning. For old or renovated urban centers, provincial-level People's Committees shall work out plans for investment in the construction of technical culverts and tanks or technical trenches and tunnels for incrementally laying underground overhead wires and cables. c/ To ensure safety for communities, works themselves and adjacent works: not to affect the use. exploitation and operation of adjacent works as well as works already existing or identified in urban planning. The grant of certificates of underground construction work ownership complies with legal provisions on the grant of certificates of land use rights and house and land-attached asset ownership. 1. The use of land for the construction of urban underground works must conform to urban planning and land use planning approved by competent authorities. 2. Provincial-level People's Committees shall decide to permit domestic organizations or foreign organizations and individuals to use land for the construction of urban underground works according to regulations. b/ Domestic and foreign organizations and individuals that arc leased land by the State will be considered for land rent exemption or reduction, for cases of construction of urban underground works for non-business purposes. 4. The Ministry of Natural Resources and Environment shall assume the prime responsibility for, and coordinate with concerned ministries and sectors in. formulating mechanisms for management and use of land for the construction of urban underground works, and submit them to the Prime Minister for decision. 1. The State encourages organizations and individuals to participate in planning underground work construction space; to invest in the construction of underground works in appropriate investment forms. c/ Technical culverts and tanks, technical trenches and tunnels. 3. Organizations and individuals investing in the construction of underground works defined in Clause 2 of this Article are entitled to investment supports and preferences under current provisions of law. 4. The Ministries of Finance; Natural Resources and Environment; and Planning and Investment shall base on their respective functions and tasks to guide the implementation of Clause 3 of this Article. 1. Organizations and individuals operating in the fields of underground construction space planning and construction of underground works shall comply with relevant technical regulations promulgated by competent state agencies. 2. The Ministry of Construction and ministries with specialized construction shall organize the formulation of national construction standards; promulgate technical regulations on construction of underground works according to their respective functions and tasks assigned by the Government. 3. The application of foreign underground construction standards must comply with legal provisions on application of foreign construction standards in construction activities in Vietnam. c/ Other data related to the management of urban underground construction space. 2. Files on the current state of underground works and underground construction space planning will be archived in accordance with the law on archive. Management agencies at all levels are encouraged to apply advanced technologies to the management of databases and supply of information on urban underground works. 3. The Ministry of Construction shall guide the establishment of the database on urban underground works. 4. Provincial-level People's Committees shall direct the establishment of databases to serve the management of. planning on. investment in. and construction of. urban underground works in areas under their respective management. 5. State management agencies in charge of construction in localities shall establish databases; archive files and provide information to requesting organizations and individuals under law. 6. Domestic and foreign owners of urban underground works shall supply data on underground works under their management to local state agencies in charge of construction for the establishment of databases on urban underground construction works. 1. Building urban underground works in viola­tion of urban planning or underground construc­tion space planning; in violation of construction permits or without construction permits. 2. Infringing upon safety corridors and the scope of protection of underground works. 3. Participating in construction activities but failing to fully meet the capability conditions as prescribed by the law on construction. 4. Breaching regulations on management, exploitation, use and maintenance of underground works. construction, urban planning and of relevant law. 1. Urban underground construction space planning constitutes a content of an urban plan. The contents of urban underground construction space planning in an urban plan comply with the law on urban planning. 2. For urban centers with approved urban plannings or in which underground works, need to be constructed but have not yet been identified in the approved plans, the formulation of general plannings or detailed plannings on underground construction space shall be considered and decided by provincial-level People's Committees. 3. General plannings on underground construction space shall be formulated for urban centers; detailed plannings on underground construction space shall be formulated for urban zones or for use as a basis for the formulation of investment projects on construct of underground works. The planning contents comply with the provisions of Articles 12 and 13 of this Decree. 4. The appraisal and approval of general plannings and detailed plannings on urban underground space shall comply with the law on urban planning. Underground construction space planning must ensure rational, thrifty and efficient use of land and compatible and synchronous connections of underground works and between underground works and ground works; satisfy the requirements on protection of the environment and ground water sources and safety of underground works and underground sections of on-ground works. 1. Analyzing and assessing the natural, geological and hydrological conditions of works; the current state of construction of urban on-ground and underground works. 2. Analyzing and assessing the general urban planning and the state of construction under the approved planning. j/ Projected priority construction items and resources for implementation. underground work systems and the urban underground construction space general planning. 1. Analyzing and assessing the natural, geological and hydrological conditions of works: the current state of construction of on-ground and underground works; the provisions of the general planning and zoning planning related to the planned zone. 2. Determining the scope, boundaries, nature and use functions of space for the construction of underground works. 3. Determining specific locations, sizes and land use scopes of underground construction works. 4. Determining detailed locations of technical connections and spatial connections of works. 5. Strategically assessing the environment. 6. A planning file includes explanations and relevant legal documents; maps of the current state, maps of detailed planning on underground construction space and drawings describing the cross-sections of used underground space, which show a detailed vertical arrangement of underground works. 1. Before starting the construction of underground works, investors shall obtain construction permits, except cases of construction permit exemption under the law on construction. 2. The grant of permits for construction of underground works complies with relevant documents guiding the Construction Law. the Urban Planning Law and this Decree. d/The design drawing showing the location, ground, cross-section and depth of the work; the plan of technical connections. b/Provincial-level People's Committees shall provide for the grant of permits for the construction of the remaining underground wirelines, pipelines, technical trenches, culverts and tanks. Permits for the construction of underground traffic works, underground public facilities, tunnels and underground key technical infrastructure works comply with the law on construction. 1. Upon grant of permits for the construction of on-ground works with underground sections, such a construction permit must specify the scope of underground sections, the number of ground floors, the total depth of the ground floors and subteranean sections of works. 2. The construction of underground sections must comply with construction permits and relevant provisions of this Decree. b/ The technical requirements on surveys prescribed in the technical regulations for each type of works must be met. d/ Designing cousultancy must take into account and forecast the demands for use of wirelines, technical pipelines in order to determine the sizes of technical trenches or culverts and tanks suitable to urban development planning and plans. c/ To ensure environmental sanitation and restore the ground to its original state upon completion of surveys. g/ To work out processes of work operation and maintenance and to set tasks of geo-technical observation. 1. Prior to the construction of these works, investors shall notify the construction commencement to ward/township People's Committees of localities where underground works are constructed for coordinated inspection and supervision of the construction process. 2. Construction contractors shall work out construction measures to ensure safety for normal operation of wire and cable lines, underground works, other connections and ensure traffic safety and environmental sanitation. 3. Contractors to construct wirelines, pipelines, technical trenches, culverts and tanks must ensure the safety, quality and construction progress of works. 1. Priorto the construction of works, investors shall determine the current conditions of existing underground works in construction zones in order to work out appropriate handling measures. 2. Construction contractors shall work out construction measures for approval by investors or their representatives. 3. To ensure safety for humans and works, minimally affecting routine activities of the urban center, adjacent and on-ground works; to work out measures to ensure environmental sanitation, especially against the pollution of ground water and the urban geological environment. 4. To work out plans and options to overcome possible incidents in the course of construction such as weak soil layer, water-containing layer, poisonous gas. fire and explosion, landslides, raisings and cracks in order to ensure safety for humans, construction equipment and works. 5. To strictly observe the work process and order and regularly inspect safety conditions in the course of construction. Upon occurrence of abnormal incidents, construction contractors shall notify them to investors and concerned parties for appropriate handling measures. 1. Urban underground construction works, before being put to use. must be tested for acceptance according to regulations. 2. The prior-acceptance test, acceptance and issue of certificates of force-bearing safety of urban underground construction works shall comply with the law on construction. 3. Construction works or work items, regardless of their types and grades, must be certified for quality standard conformity when so requested by local state management agencies in charge of construction or investors or owners. 1. To comply with urban planning, underground construction space planning, underground laying plans and design files approved by competent authorities. 2. To comply with technical regulations of related sectors. 3. The State encourages the underground laying of overhead wires and cables in urban centers. Organizations and individuals participating in the underground laying of overhead wires and cables in urban centers are entitled to investment supports and preferences under current laws. c/ To ensure common use in technical culverts, tanks, trenches or tunnels for thrifty use of underground space. 5. For streets already built with technical culverts, tanks or technical trenches and tunnels, on-ground culverts must not be built. Provincial-level People's Committees shall promulgate regulations on the common use of systems of technical culverts, tanks, trenches or tunnels in areas under their respective management. 1. The underground laying of overhead cables along streets can be carried out in any of the following forms: technical culverts and tanks; technical trenches and tunnels. 2. Constractors for underground laying of overhead wires and cables must ensure work safety, quality and construction schedule. 3. Investors shall coordinate with owners of overhead wire or cable systems in recovering unused posts, overhead wires and cables. Local construction management agencies shall inspect the recovery thereof. 4. Organizations and individuals exploiting or using overhead wire or cable lines in urban centers shall coordinate, participate in. and contribute funds to. the underground laying of overhead wires and cables under the general plans of provincial-level People's Committees. 5. Provincial-level People's Committees shall organize and direct the formulation and implementation of plans on underground laying of overhead wires and cables in areas under their respective management. 1. Technical connection means the connection between underground wirelines, cable lines, technical pipelines; technical trenches and tunnels. d/ To ensure the technical requirements prescribed for each type of works. 1. Spatial connection means the creation of a space for connection between underground construction works and adjacent works, ensuring activities of people and machinery. c/To ensure convenience for use. exploitation and emergency exit when necessary. Upon designing the construction of underground works, investors shall reach agreement with units managing the operation of urban technical infrastructure works or work owners or users for spatial connection (if any). Prior to work connection, investors shall notify connection plans and schedules to agencies and units agreeing with the connection for supervision and coordinated implementation. 1. Underground traffic works, public facilities, tunnels and key technical infrastructure works must be subject to geo-technical observation.